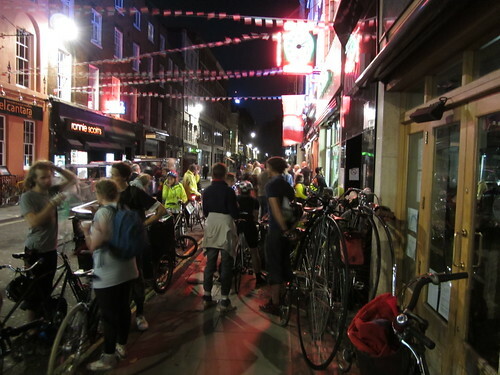 Our neighbouring LCC group Southwark Cyclists are running their legendary annual Midsummer madness ride tomorrow Friday 21 June 2013. With Britain's cold, wet spring now a fading memory, we can all look forward to midsummer. Friday 21 June 2013 is the longest day of the year, and since time immemorial people of all faiths and none have marked the occasion of the summer solstice by rising to greet the dawn. London cyclists do this in their own special way, by riding through the night from Greenwich to Primrose Hill, following a tradition established by the late great Barry Mason. 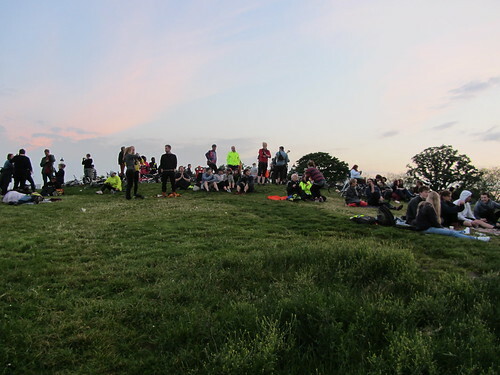 This year's Midsummer Madness ride will follow a familiar but never entirely predictable pattern, with the early risers setting off from Cutty Sark Gardens in Greenwich at 02:00 on the morning of the solstice. We then stop at Southwark Needle by London Bridge to collect more riders. Previous years have seen hundreds of London cyclists foregoing their beauty sleep, giddy with excitement at the prospect of experiencing the rise of the midsummer sun. Overcast skies and rain are no deterrent, for Midsummer Madness is a community happening, fun whatever the weather. Following the sunrise some will cycle back across the river for breakfast in a Southwark café, before heading for work or home to sleep. Others will hang around Primrose Hill or do their own thing, with all bidding a fond farewell to friends old and new, promising to return next year for more of the same.